Mr Patrick Dillon-Malone, Professor Tom Begley, Excellencies, Distinguished guests, IIC Members, Members of the Panel, Ladies and Gentlemen. As someone who was fortunate to serve as Irish Ambassador in New Delhi for four years up to last summer – a period in which India was visibly and very evidently surging ahead in keeping its famed ‘tryst with destiny’ – I am honoured to accept this kind invitation by the IIC to offer some reflections on Irish Indian relations. As I have now moved on from India – even if the memories from my time there still shine brightly – I would propose to offer a personalised perspective, based on impressions, observations and reminiscences of my Indian experience. The topic – Irish-Indian Relations: Past Present and Future – happily offers a comfortingly wide canvas from which to choose. It would be folly anyway not to heed the wise counsel of Amartya Sen who has written (2004) that India is of course ‘an immensely diverse country with many distinct pursuits, vastly disparate convictions, widely divergent customs and a veritable feast of viewpoints’ – and that ‘any attempt to talk about the culture of the country, or about its past history or contemporary politics, must inescapably involve considerable selection’. So, in the spirit of that lovely old sketch which depicted the late and great Conor Cruise O’Brien as a newsreader, challengingly telling us, with eyebrows raised, “here is the news – as I see it!”, what you will get is my perspective on the Indo-Irish relationship – as I see it! Equally, my presentation will not remotely resemble a comprehensive, carefully researched historical account. I will happily leave such labours to historians such as Dr Kate O’Malley and Dr Deirdre McMahon, both of whom are with us here this evening. In Dr O’Malley’s case, I would commend to you especially the book she published in 2008 entitled ‘Ireland, India and Empire: Indo-Irish radical connections, 1919-2004’. I am not as up to date with where Deirdre McMahon is currently on her more recent research on India, including on the contribution of the Irish Educators, but perhaps she can enlighten us on that later. However, I would strongly suggest that you consider inviting both Dr O’Malley and Dr McMahon to come back and address future IIC meetings on their research findings. I would mention two other works: ‘Ireland and India: Connections, Comparisons, Contrasts’ edited by Michael Holmes and the late Ambassador Denis Holmes, published in 1997; and ‘Ireland and India; Colonies, Culture and Empire’, edited by Tadhg Foley and Maureen O’Connor, published in 2006. And, of course, Professor Eunan O’Halpin, and other academics too have also published useful and interesting research on India. Being no longer the incumbent Ambassador, and profiting from the little extra licence and latitude this affords, I would intend later in concluding to be mildly provocative in proposing a few things I feel could be done in taking the Indo-Irish partnership and friendship to even greater heights. In doing so, I would of course not at all aspire to be the full Celtic equivalent of Professor Sen’s ‘Argumentative Indian’- to wit, a Disputatious Irishman! But in keeping with the best argumentative tradition which has long flourished in both our countries, I would wish to put forward constructively some thoughts for your consideration. Before embarking on the subject, let me say that when the Director, Prashant Shukla, invited me to give this talk, I was delighted to learn that the IIC has been guided so excellently for so long by your President, Professor Louis Smith. When I studied – or attempted to study – Economics here in UCD in the early 1970s, I did not do so directly under Professor Smith’s guidance. But he was a key element in my formation and that of my fellow students, including through the first-class textbook he co-authored with Des Norton. I am sorry to hear he is indisposed and so cannot be with us this evening. So, in university-speak, let me extend to Professor Smith, in absentia, if three decades on, a big belated thanks for his inspiring and indeed seminal influence. And a big thanks also for all his other admirable contributions, including with the Irish Council for the European Movement. Regretfully, Prashant Shukla is also indisposed at present – I wished him by telephone this afternoon a quick recovery. Coming now to the theme, the Indo-Irish relationship, of course, goes back a very long way. As I said, I will leave to the historians the carefully researched historical accounts, including the task of documenting and interpreting the contributions, for both good and ill, which Irish men and women made to British, colonial, India, through both the Civil Service and the Army. I cannot, however, resist the temptation to mention the fascinating history of two Irishmen involved with India in the last quarter of the 18th Century. The one was ‘soldier of fortune’ William Tone, a brother of Wolfe Tone, whom Brother Pat Murray, an Irish Christian Brother in India who did considerable research in the matter, classified as the most ‘colourful’ of the Irish adventurers involved with India in that period. By Brother Murray’s account, William Tone was tall and debonair, with a weakness for beautiful women and a devil may care attitude to his life of adventure. He was also a good soldier and gave his life in battle in the services of the Mahratta Chieftain Jaswant Rao Holkar. At the young age of 34, Tone was laid to rest in the Jat country of Southern Haryana. The other was George Thomas who, in Brother Murray’s assessment, was by far the most ‘enterprising’ of the Irish adventurers. Thomas, a ‘giant of a man from Tipperary’, who apparently had deserted from a British Man of War at Madras, went on later to carve out for himself a kingdom of several thousand square miles in the heart of Upper India at the old Rajput Fort of Hansi. Those of you interested in knowing more could try and get your hands on a copy of Maurice Hennessy’s book – ‘The Rajah from Tipperary’, published in 1971, and in paperback in 1972. From a different source, I was intrigued to learn about a Colonel J.F. Young, the founder of the hill station of Mussoorie, where earlier as a Captain he built the first European construction and named it ‘Mullingar’. Most significantly, prior to the signing of the peace treaty with Nepal in 1815, Young is apparently credited with having won the trust of the Gurkhas while he was held captive by them for a year during the Gurkha-British conflict. Subsequently, according to the report I was given, he was able to recruit 3000 Gurkhas to serve under the British flag for the first time. Moving forward, for me the real starting point for the great political affinity and trust which developed between Ireland and India can perhaps be traced to the decision of the Irish Parliamentary Party, taking up a long-standing invitation from their Indian friends, to send the Irish Parliamentarian, Alfred Webb, to chair the Indian national Congress in 1894. Irish personalities who contributed subsequently to the Indian ‘awakening’ included Annie Besant, who, like Webb, chaired the Indian National Congress; Margaret Noble, or sister Nivedita as she was known – I was honoured, on a visit to Darjeeling, to be shown the house in which she spent her last days; and the Irish poet James Cousins and his wife Margaret Cousins. Margaret Cousins, who set up the Indian Women’s Association, is also credited with having assisted Tagore in setting down the notation of the English language translation of Jana Gana Mana. For me personally, a conversation I had with an Indian diplomat in Stockholm in the mid-1970s represented a small epiphany moment on the strength of the Irish Indian friendship. I was then at the very beginning of my diplomatic career while my Indian colleague would have been close to retirement. When he heard I was Irish, he told me with great affection of the enormous admiration there was in India for the Irish political leadership of the early 20th Century, and Éamon de Valera in particular. It is true that the links between Ireland and India became especially strong at the beginning of the last century, as first Ireland and then India moved to independence. Nehru and the other leaders in India demonstrated great understanding, solidarity and support for Ireland as we attained our freedom and De Valera and his colleagues were happy to reciprocate warmly as India, in turn, fulfilled its tryst with destiny. The affinities went well beyond the political. The famines endured by our two countries also deepened the common bonds of sympathy between us, as we shared in each other’s grief and suffering. Commenting on the famine relief assistance which De Valera provided in response to a telegram he received from the Mayor of Calcutta in 1943 asking for help in the famine of that year, Nehru wrote of countries like Ireland which, although poor in their own resources, and full of their own difficulties, yet having had bitter experiences themselves of famine and misery and sensing what ailed the body and spirit of India, gave generous help. Connecting the past with the present, it was a moving moment when, on Saint Patrick’s Day 2007, the Éamon de Valera Road was inaugurated in Delhi. Beyond acknowledging De Valera as the towering political figure of 20th Century Ireland, the Road honoured him as a good friend of India. In an Edit-page article on the occasion carried in the Hindustan Times (16 March 2007), I suggested that, as we reminisced on all the old ties and connections, the new Road might also encourage us to dust off and re-read De Valera’s famous speech to the ‘Friends of Freedom for India’ in New York in 1920 where, pointing to the common cause of India and Ireland, he swore friendship between the two nations. I recalled too that De Valera felt deeply honoured when, in 1947, Nehru expressed admiration for the 1937 Irish Constitution, one of De Valera’s finest achievements, and said he intended to study it for the Constitution of India, then being drafted. Looking forward, I hoped the newly-born Éamon de Valera Marg would also stand tall in pointing us onwards and in bringing additional vibrancy – and more of that anon – to the two-way economic and business relationship in this increasingly technologically-driven era. I would like at this point to acknowledge the great credit which is due to those dedicated Irish educators and missionaries who, down through countless decades, kept the flame of Indo-Irish kinship alive and well through the extensive network of ‘Irish’ schools they managed throughout the length and breadth of India. Those selfless women and men have endowed Ireland with an incredibly rich heritage in India in the form of so many thousands of Indians who attended those schools and who, in consequence, feel special understanding and deep affection for Ireland. At Trinity College last Thursday evening, Amartya Sen gave a characteristically thought-provoking lecture, entitled “On Global Confusion”. Introducing him, the TCD Chancellor, Mary Robinson, told us that, happening to be in India at the time, she had been honoured and indeed elated to be invited by Professor Sen to accompany him, ‘as a family’, when he received the Bharat Ratna award. Let me tell you it was nothing to the elation and honour I felt on being invited by Sister Cyril Mooney, a formidable Irish nun working out of Calcutta, to accompany her when she received her Padma Shri award (March 2007) for her very considerable contribution to education and the social services in India. Sister Cyril was the first Irish person to be so honoured. One of my functions in India was to help highlight to Indian students the particular attractions of undertaking higher education study in Ireland, given both our excellent Education tradition and products and also what we can offer Indian students in lifestyle and comradeship terms. In doing so, I always recalled that the good experience of Indian students in Ireland went right back to the time of Indian President V.V Giri, who as a young man had studied in Dublin from 1913 to 1916 where, in addition to obtaining his degree, he also qualified as a barrister. Giri in his writings tells us that Indian students preceding him in Ireland favoured studying here in preference to England, because ‘they felt a great affinity for Ireland’. Many of them, being from his own part of the country, had written encouraging him to join them. And so, as he tells us, it was ‘the expectation of congenial company in a distant land’ that helped him in deciding to study in Dublin. In what was clearly a very defining time in the run-up to the Easter Rising, the young Giri became friendly with many leaders of the Irish freedom movement experiencing, as he told us, ‘a complete sense of identity with the Irish cause’. With others, he formed a little group called the Anarchical Society, ‘professing belief…in using violence and bloodshed to achieve a peaceful end’, which would help them in the freedom struggle on going home. Happily, it was not however to be, because they all, on their return, came under the magic spell of Mahatma Gandhi and decided to follow the path of truth and non-violence in winning political freedom. As we know, V. V. Giri went on to distinguish himself in his native land, including as a leader of the Indian Labour and Trade Union movement and subsequently as President of India. Giri while in Dublin witnessed what he termed grinding poverty and the miserable plight of workers in Ireland. One must wonder at the influence this may have exercised in steering him towards becoming subsequently a leading trade unionist in India and a champion of workers and welfare schemes. Perhaps this might be an appropriate moment to say how strongly Ireland empathises and feels solidarity with the Indian Government and India generally in confronting the enormous ongoing challenge of deprivation and the eradication of poverty and is working to raise living standards and give people a decent quality of life. When one reflects on what more needs to be done in this vital area, one’s thoughts are also drawn back to earlier great champions of justice and equality, and of course Gandhi-ji in particular. In that regard, the Mahatma’s message of peace and non-violence, or Ahimsa, clearly found strong resonance in the approach followed by many who laboured long and hard in securing a negotiated peaceful outcome to the conflict which troubled us for so long on our little island – and I am thinking of John Hume in particular. Moving on now, there have always been rich literary links between Ireland and India, going far beyond the acclaimed Yeats-Tagore collaboration. I always derive great pleasure from reading Pandit Nehru’s beautifully written works, replete as they are with eloquent and glowing references to Ireland and his admiration for so many of the great Irish writers – and Shaw in particular. Writing to his daughter Indira – or Darling Indu as he addressed her – on the 9th of April 1943 from Ahmadnagar Fort Prison, Nehru said of Shaw, ‘What a wise man he is, full of the deepest understanding of life, which he often covers with his levity and over-smartness. Few writers provoke me to thought as much as he does’. The book, “A Bunch of Old Letters”, first published in 1958 and re-published in 2005, contains the most wonderful exchanges between Nehru and Shaw, from September-October 1948. Nehru told Shaw inter alia that ‘Forty years ago when I was 18 and an undergraduate at Cambridge, I heard you address a meeting there…like many of my generation, we have grown up in company with your writings and books. I suppose a part of myself, such as I am today, has been moulded by that reading…’. Nehru indicated there was a chance he would be in England the following month and that he would love to pay Shaw a visit. Shaw responded positively, but said he could not pretend it would be worth Nehru’s while spending an afternoon of his precious time making the journey to Shaw’s remote village where, he said, ‘there was nothing left of Bernard Shaw but a doddering old skeleton who should have died years ago’. He told Nehru he could consider India objectively because he was not English but Irish and had lived through the long struggle for liberation and the partition of Ireland. Rather movingly, he added that ‘I am as much a foreigner in England as you were in Cambridge’. Prior to Professor Sen hitting town here last week, I re-read some of his writings, including the intelligent things he said about India’s ‘exceptionally great tradition’ of tolerance, open public discussion, reasoning and the richness of its heterodoxy’ – and rebutting any notion that democracy came only from the West. Just in case we might have not got the point, Sen reminded us that ‘When Akbar in the 1590s was making a statement about religious tolerance and the need for it, this was the time …when inquisitions were going on in Europe. Giordano Bruno was burnt at the stake for heresy in 1600’. Sen’s words recalled for me, in turn, the picture which Nehru painted of the scholarship and enlightenment to be found in Ireland going back considerably further – to the 6th Century and the following 200 or 300 years – when Ireland, with its monasteries, was a centre of learning for Europe and drew students from afar. Nehru wrote that in those days Ireland was one of the places which ‘kept the lamp of culture burning till a fresh revival of culture took place in Europe’. For many Irish, that period was ‘a kind of Golden Age of Ireland when Gaelic culture was at its height’. You may, just possibly, have come to discern that I am a big admirer of Nehru and his writings. But who could not be moved when he writes (1933) about Ireland as ‘This green and beautiful land (which) dips into the Atlantic Ocean on the far west of Europe? It is a small island…bur little as it is, it is full of romance, and for centuries past it has shown invincible courage and spirit of sacrifice in the struggle for national freedom’. And did he not get it absolutely right when, writing about the vast numbers of Irish exiles who had to emigrate from the home they ‘loved so passionately’, he said that, wherever they went, they ‘carried a bit of Ireland in their hearts’. Moving to the present, let me quickly now flag a number of positive developments which have helped shape and take forward the Indo-Irish partnership in recent years. relationship and also imparted considerable impetus to the two-way trade and business partnership. We were afforded an opportunity to showcase what Ireland has to offer as a world-class provider of goods, services and processes and as a top class location for inward investment; as a breathtakingly beautiful, culturally vibrant and exotic holiday destination for Indian tourists; and an academically rewarding, and hospitable and welcoming place, for Indian students studying abroad. Just as importantly, the accompanying business people were able to see up close the enormous trade and joint venture opportunities on offer in the vast and burgeoning Indian market. There has been good and sustained follow up since then. Minister Ó Cuív and several other Ministers and politicians have been to India, bringing to attention what Ireland can offer in export and business partnership terms and as a top location for higher education study. In the other direction I would mention in particular the recent visit here of a delegation of senior Indian scientists under the leadership of Dr Ramasamy, the Science and Technology Secretary, who, taking forward the bilateral Science and Technology Agreement signed in 2006, engaged in intensive discussions with their Irish counterparts, including on Renewable Energy, ICT, medical sciences, biotechnology, nanoscience, food science and other technologies. The former President of India, Dr APJ Abdul Kalam, himself a very distinguished Scientist, was here last month. He proposed that Ireland and India should develop a Partnership in Innovation, something which is very much on our wavelength. 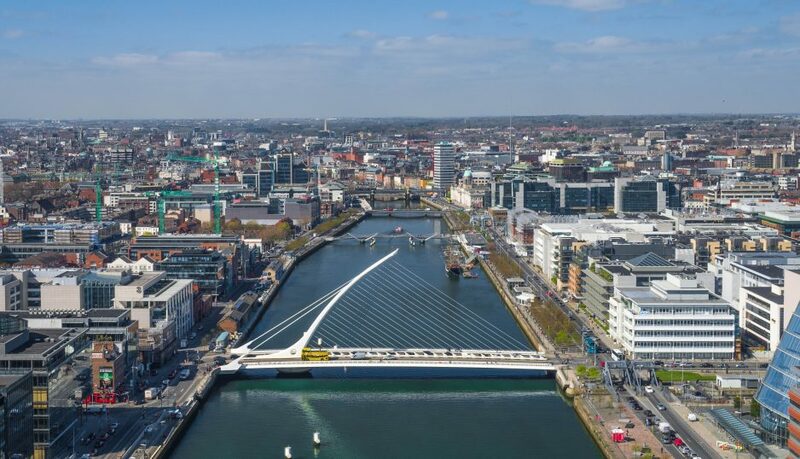 The creation of Ireland as an Innovation Island is at the heart of ‘Building Ireland’s Smart Economy’, the framework for sustainable economic renewal announced by the Government last December. The aim, in essence, is to make Ireland the innovation and commercialisation capital of Europe, attracting a critical mass of companies, both Irish and international, at the forefront of innovation. And it is good too that Ireland was successful in its bid to be the European City of Science in 2012. In my time in India, I waited patiently for a major Irish company to engage in a big business project in India, not least because this would undoubtedly stimulate other Irish companies to follow suit. That finally happened with the sizeable investment which CRH made in India last year through its acquisition of a 50 per cent stake in My Home Industries, a substantial manufacturer of cement in Andhra Pradesh. I can share with you that CRH is delighted with how very well the partnership is working. And, being on a budget and ahead of target, the project is performing well ahead of what is achievable anywhere else in the world at present. I believe this may be just the first step for CRH in developing a long and deepening relationship with the Indian economy. Oliver Mahon, CRH Country Director for India, is with us here this evening. Through him, I wish CRH every success in further expanding their links with India. Business cooperation is a two-way street. I very much welcome Wockhardt’s significant investment in Ireland through its acquisition of Pinewood Health Care, outside Clonmel. While CRH and Wockhardt are the big-ticket items, I also commend the progress so many Irish indigenous companies are making in taking advantage of niche opportunities in India in the ITC and other sectors. In that regard, incidentally, I was happy to make the acquaintance here this evening of the MD [Brian O’ Shaughnessy] of a small Irish company, Merrion IT, operating out of Dublin and Hyderabad. Equally, I welcome the growing business which Indian companies such as Tata Consultancy Services, Reliance Life Services/GeneMedix, Infosys, Wipro, Satyam, Polaris, Softedge Systems and others are doing on the Irish market. The considerably strengthened Irish presence in India is a great asset in advancing the Irish foreign earnings agenda. In addition to the Embassy, with its full-service Visa Section, Enterprise Ireland, IDA Ireland and Tourism Ireland are all now strongly present on the ground in India – and Bord Bia too, for instance, are working hard at increasing Ireland’s share of the lucrative drinks market in India. A lecture tour in India in January 2005 by Professor Declan Kiberd. An International Conference on “India and Ireland: Colonialism, Nationalism and Modernity” hosted in January 2007 in Jawaharlal Nehru University in Delhi. That Conference was a follow on to the Global Conference on Colonialism held at NUI Galway in 2004. It was Declan Kiberd who urged that it was time in 2007 to look at holding the ‘return game’ in India. The Delhi Conference was enhanced by the participation of Dr Deirdre McMahon and by our Panellist, the author Cauvery Madhavan, who delighted us with some readings from her works. And an Irish literature Festival was staged in Delhi in January 2008, a collaborative project between the Embassy, Ireland Literature Exchange and Culture Ireland. Beyond these, the period saw performances in Delhi by Barry McGovern and Eamonn Morrissey and Janet Pierce had an exhibition of her paintings there. And guests attending our Saint Patrick’s Day Receptions were always superbly entertained by high-class Irish musicians brought out for such occasions. So, overall, a reasonable score-sheet in promoting the bilateral relationship! But can more be done, especially in developing the bilateral trade and business relationship, with a country so evidently well disposed to Ireland? Absolutely yes. There is limitless potential to increase exponentially the business we can do on the vast Indian market. India is a real heavyweight, as the world’s biggest democracy and the second fastest growing economy in the world, and with the considerable advantage of having a very large English- speaking population. It offers great opportunities in individual sectors ranging from Financial Services to Food Technology. Most impressively, India is the second largest Mobile TELCO market in the world; and the third largest market for Cleantech. attractive business locations in the world. As you know, our competitiveness is based not on Irish tax benefits and costs alone, but also on our ability to adopt and adapt to change in a unique way that connects innovation, knowledge, people and enterprise to meet the fast evolving demands of world markets. And of course, beyond our renowned ‘can do’ flexible attitude, it is a big plus that Ireland, with its highly qualified workforce, has one of the youngest populations in Europe, with over 36% of people under the age of 25. 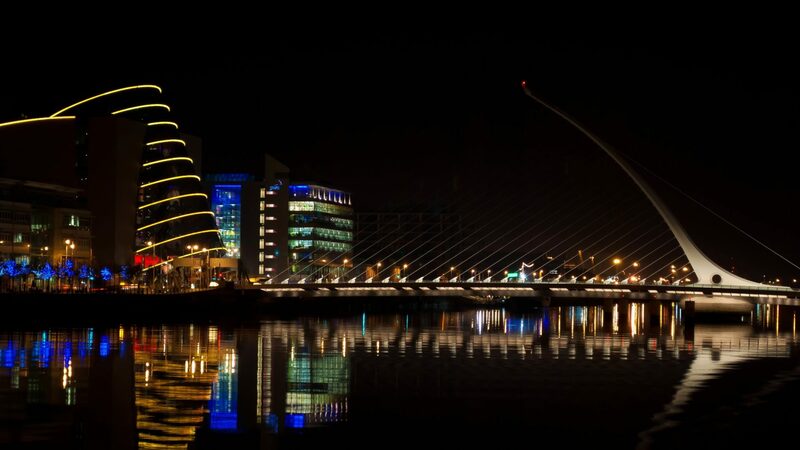 Ireland offers Indian companies an investment location base which will help them in competing effectively against the best countries in Europe and the world. Ireland has attracted good pharma and bio-pharma investment from India and, coupled with our R&D tax credits, this should encourage more such companies to locate here. I believe more and more IT/ITES companies from India will also look at establishing here, using Ireland as their gateway to Europe, similar to the approach taken by US companies. And other companies will follow them in. First: I would like to see the Irish business community, and business organisations including IBEC, being considerably more active and systematic in exploring business opportunities in India. At its most basic, that means travelling out there regularly to make the necessary connections and identify suitable opportunities. The Business organisations in India – the CII, FICCI, ASSOCHAM and the PHD Chamber of Commerce and Industry which came on a mission to Ireland a few years back – are a marvellous and helpful resource in linking people up with potentially suitable business partners. But you have to meet them halfway by getting out there first! One sometimes hears the argument that the Indian market is too complex and too daunting, especially for many SMEs. As per the CRH experience, you do indeed need to be patient in identifying the right business opportunity and finding the right joint venture or business partner. But the fruits are definitely there to be reaped. There are obvious openings in India across so many sectors: from Financial Services and IT and high-end technology products to food and drink and thoroughbred horses. Some of our world-renowned Agri-Food corporations already have good joint ventures in India. But I am at a loss to understand why they are not even more active in India, in a much bigger way. Irish companies have developed strong technologies in the Food and Agriculture space. Why are we not developing more food processing, cold storage and transportation collaborations in a country which is, to my knowledge, the largest milk producer in the world, the second largest producer of fruits and the third largest producer of vegetables? – and with, regretfully, about 50 % of this never reaching the market due to poor logistics and infrastructure. I am sure CRH on a collegiate basis would be helpful in sharing its successful experience in India with Irish companies, large and small, wishing to develop business with India. And I am also sure that Pinewood MD Manish Gupta would be open to sharing Wockhardt’s good experience of Ireland with Indian companies wishing to do more business with us. including because of our largely similar legal systems and because English, as I said, is widely spoken there. And also because of the attractive emphasis, India places on profit, rather than on chasing volume. And it is of more than passing interest that the Indian banking system – which is solvent and well managed and regulated – is, I am told, largely unaffected by the current international crisis – and so not affected by the credit crunch. I am sure that [EBS CEO] Fergus Murphy, a very distinguished banker and someone who knows India very well from his previous assignment with Rabobank, who is with us on the Panel here this evening, will be able to confirm that. Second: I have long argued that the Irish Higher Education Institutes engaged in attracting students from India need to collaborate in developing a corporate and strategic approach if we are to win more business from India, and of course from elsewhere. In that regard I am delighted that six Irish HEIs have now grouped together in the Dublin Alliance, being steered by a Working Group chaired by Dr Robert Flood, who is with us here this evening. I understand that the Alliance had initially to be confined to HEA colleges. But I would ask whether the Alliance can now be expanded to include other leading players, and particularly the big private colleges doing so well on the Indian market. I am happy to see that at least one of those big private operators [Griffith College] is represented here this evening. And, more fundamentally, I would also wish to hear whether it is feasible to look forward in due course to the creation of an Ireland Alliance, incorporating, in particular, some of the big players from Cork, Galway, Waterford and elsewhere. As I have said elsewhere, there would be a strong advantage, in an international sector which is fiercely competitive, in the Dublin Alliance drawing up its own voluntary Code of Conduct, which would also incorporate common standards of pastoral care, and redress and refund arrangements to be applied as required. Dr Robert Flood, who has considerable knowledge and experience of the international education sector, might wish to comment. Beyond the important student recruitment market, there is scope in parallel for considerably more fourth level cooperation between the universities and institutes of technology here and in India, including faculty to faculty collaborations and exchanges of Professors, Lecturers, and PhD and post-PhD students. Given the need for world-class education to sustain India’s growth, spending on education in India is expected to increase with the creation of new universities. In that regard, the Irish Education sector could benefit significantly from collaboration with Indian universities and HEIs. And we could also focus on offering specific programmes to Indian students based in India. Third and finally: My concluding point would be that while Indo-Irish cooperation is being successfully advanced across a wide number of sectors, I believe that each sector could exercise an even more leading role in advancing cooperation in its individual area; and that there is also need for more collaboration across and between the different sectors. On the first point, taking the example of the business sector, I said at the launch of the IIBA last year that the two Governments and our Ministers are doing excellent work in setting the framework and in providing the necessary leadership; and the Ambassadors and the Embassies on both sides, with the Agencies and the Honorary Consulates, are playing their due part as economic matchmakers. I added that ultimately, however, it is Business itself – including the entrepreneurs, scientists, researchers and academics on both sides – which must do the business. common interest on which the different sectors might join together collectively in taking forward. The different sectors would surely profit from information sharing on what they and others are doing. As one specific example, I am sure it would, for instance, be mutually beneficial for people undertaking academic-led research on the one hand, and industry-led research on the other, to share with each other, and others, what they are doing. The Government-led ‘Asia Strategy’ forum is doing good work in advancing Irish collaboration with various partner countries in Asia, including India. But let me ask is there any reason why, following what one could term the ‘little red hen’ approach, the various different sectoral groups engaged in business or other cooperation with India could not themselves combine together and work out their own India Strategy. The IIC, perhaps in collaboration with the others, could look at leading on this. On that note, I will conclude. 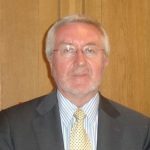 Kieran Dowling is former Ambassador of Ireland to India (2004-2008), views expressed here are personal and may not be attributed to the government of Ireland.